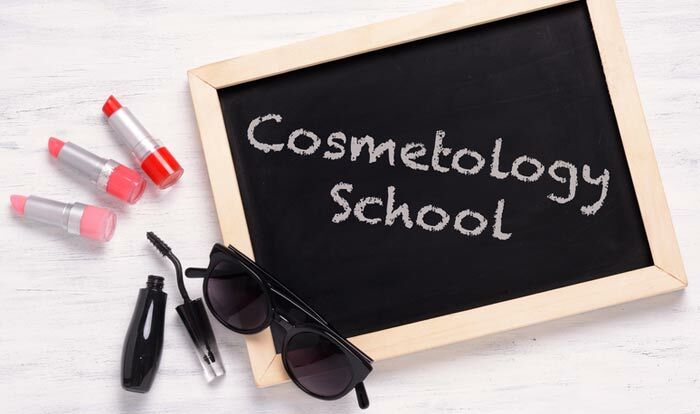 Nighttime or evening cosmetology school provides a good option for those who can’t go to day classes. Not every school will offer them but you are likely to find a college somewhere in your state or province that does. Find a school near you that offers evening or weekend classes by entering your ZIP in our school finding app. Or you can go to our “beauty schools near me” page>> ourworldisbeauty.com/beauty-schools-near-me/. Sometimes a combination of online classes together with training in person will get you the hours and credits necessary to get your license. Once you contact a school — whether it’s for beauty, or barbering, or for that matter any other discipline — you will be able to find out if a personalize program is a possibility. For many people an evening beauty program is a great option. Instead of taking out a student loan, they instead opt to be employed during days and study part-time at night. Being debt-free at the end of your training is a great feeling and gives you more options after you graduate. One drawback though is that you may not be at your best. After working all day being tired might make the classes more difficult than if you were fresh at the beginning of the day. Also, if you enjoy late-night socializing and partying — like many people in their late teens and early twenties — you may find yourself able to force yourself to go to your day job after a night out, but be too exhausted for evening classes. Due to fewer hours of classes per day it will usually take more months to complete your courses if you are taking only evening classes. For instance at Arkansas Beauty School in Little Rock the training course can be completed in about 11 months for day classes while night cosmetology classes take 12-16 months. If you are in high school and are keen to get started with cosmetology it is possible to do night classes after school. Consider finding a weekend job or weekend classes so that you can either do day classes or study on the weekend. It is also possible to take some of your course work online. Obviously there are many classes that can only (as it stands now) be done in class. However there is also some theoretical training that can be taken via internet. There are plenty of pros and cons to consider when your are deciding on education options so it is important to contact a variety of schools to find out what the options are in your area.